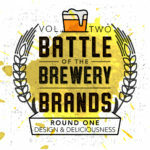 This is the much-anticipated Round 2 of the Battle of the Brewery Brands. 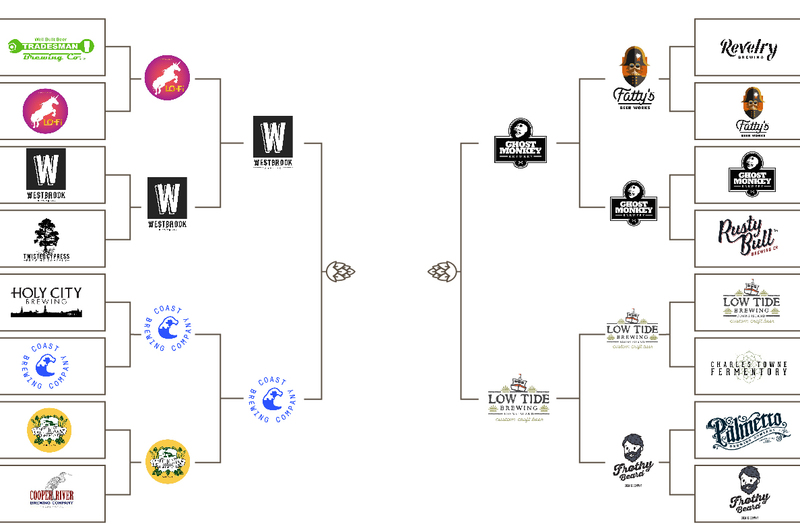 In Round 1, we went from 16 local breweries down to 8 based on logo/bottle design. 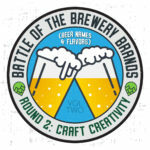 This round, the eight remaining contenders will compete head to head as we take a look at beer names and descriptions for creativity, personality, and consistency. Let’s dive right in! Westbrook’s back with a brand new invention with this old-school German style Berliner Weisse. 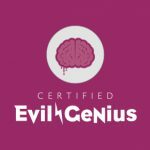 It’ll knock you back to ’90s – the 1590s that is! Brewed with the traditional no boil method, Weisse Weisse Baby is light, tart, bubbly, and extremely delicious. As dark as the legend of Blackbeerd himself, behold the Imperial Stout. Sweet malts battle roasted grain on the decks of yer tongue. Like a blast from a cannon, hop are followed by smoked malt. Hold on to yer booty, a dark stouts a brewin’. Freehouse delivers on its southern charm branding with names like Battery Brown Ale, Blueberry Peche Sourlina, and Folly’s Pride. They continue to keep it classy with more traditional descriptions too. We like the consistency and deliberateness of both brands, but we’re suckers for a good pun and have to give this one to COAST. 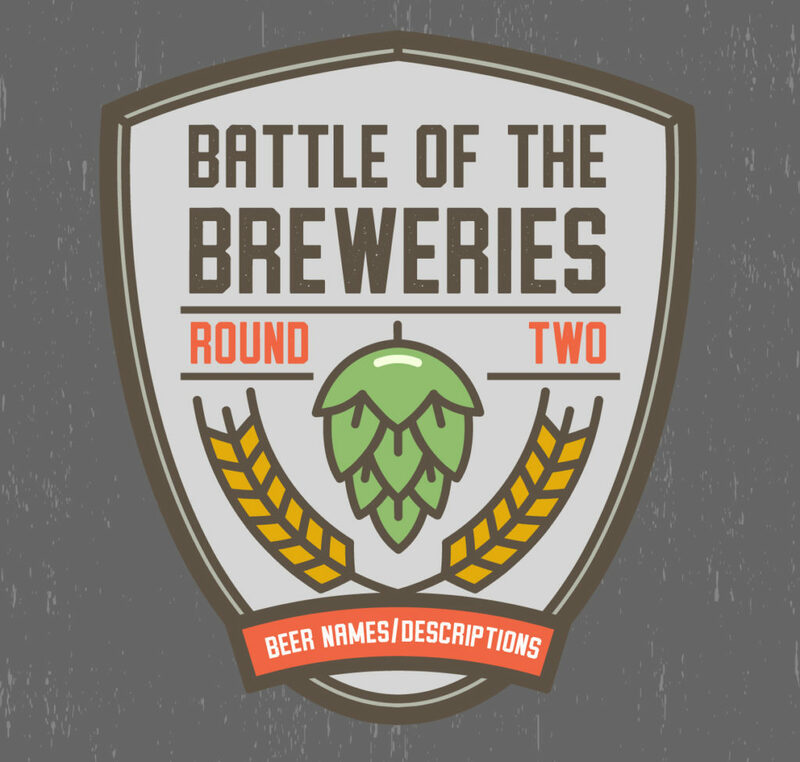 Both these young breweries have established beer names, but not-so-much descriptions. So that’s what we’ll focus on in this match-up. 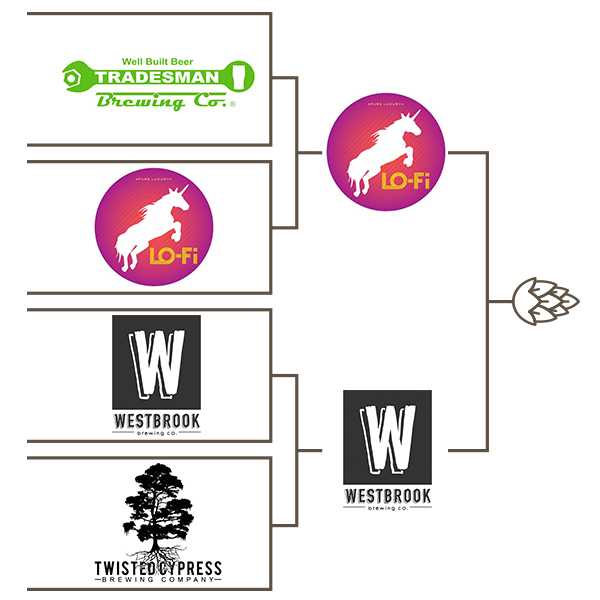 Fatty’s beer line-up features attention-grabbing names like First Shot, Photon, About Time, and Lazy Hazy, among others, while Ghost Monkey pushes the boundary even further with Yoga Pants, #FunkOff, Swim Trunks, and Just Call Me Wheat. 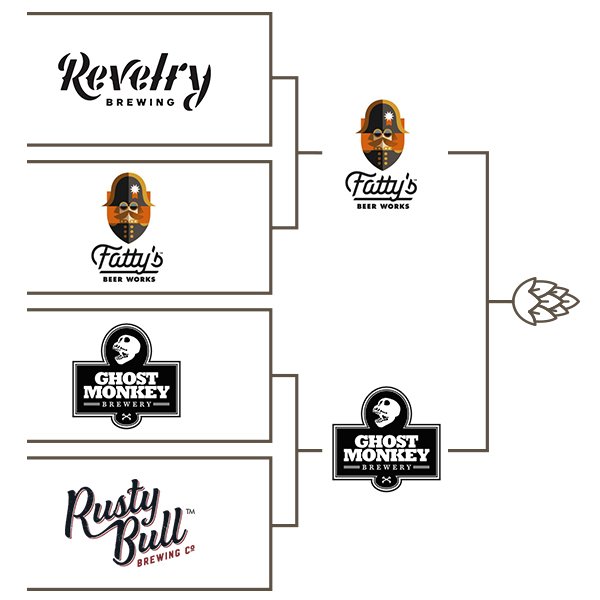 With a slight edge in this naming battle, the winner is Ghost Monkey. Low Tide seems to pride itself on impressively complicated puns, such as Gingerly Squeeze My Lemons and Basil Better Have My Honey. 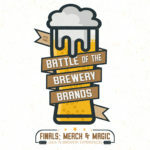 They complement those punderful beer names with straightforward, yet well-written descriptions that both accurately describe the taste and explain the more obscure references, backstories, and allusions from the names. 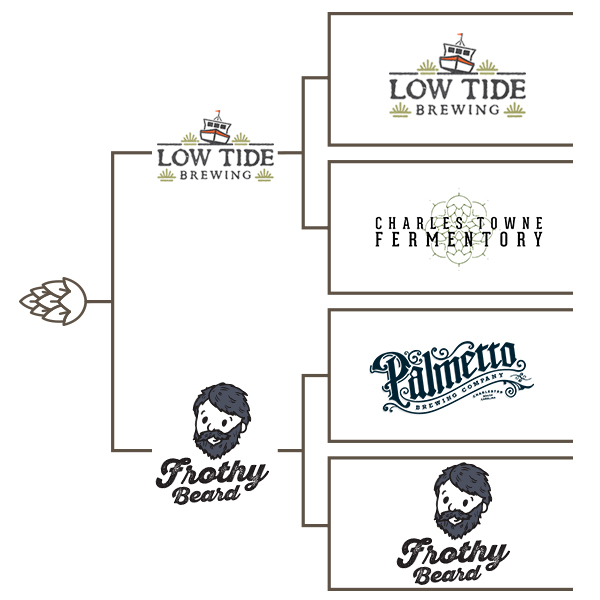 Frothy Beard, on the other hand, offers one-of-a-kind names like Meloncholy and the Infinite Seedless, All Pale! Spruce Almighty, IP-Heeeeeeeey, The Six-Headed Hydra of Charles Towne, It’s Cucumber Thyme!, and even Fuggle Rock. 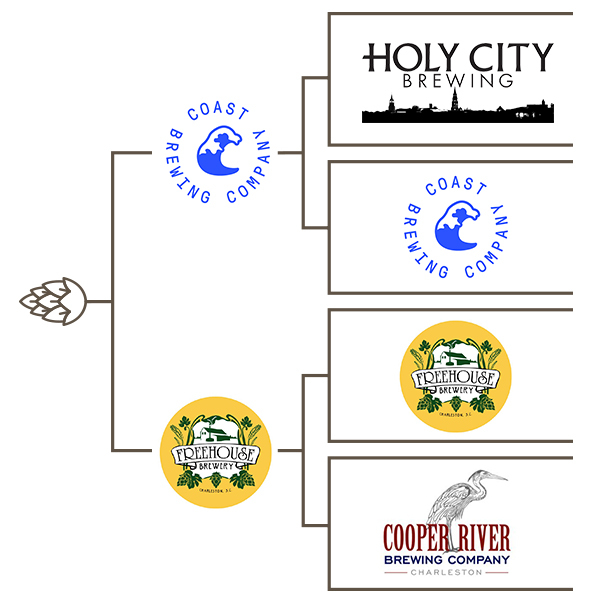 The West Ashley-based brewery brings that same fun flavor to its descriptions too. Tune in next month for Round 3, where we’ll take a look at our four winners’ websites and social media properties to determine which one is doing the best job delivering its brand in the digital space.